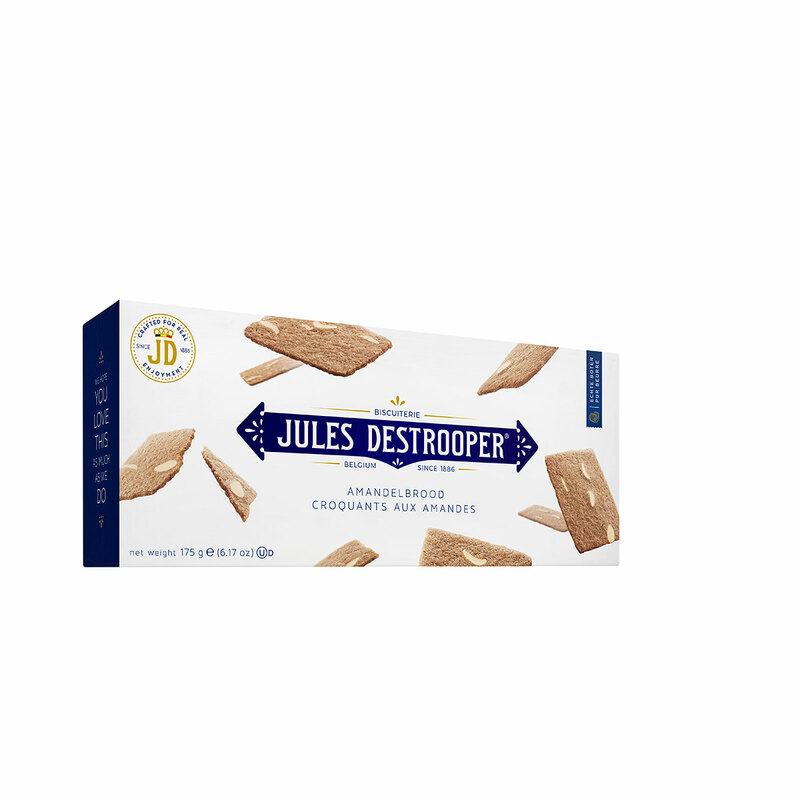 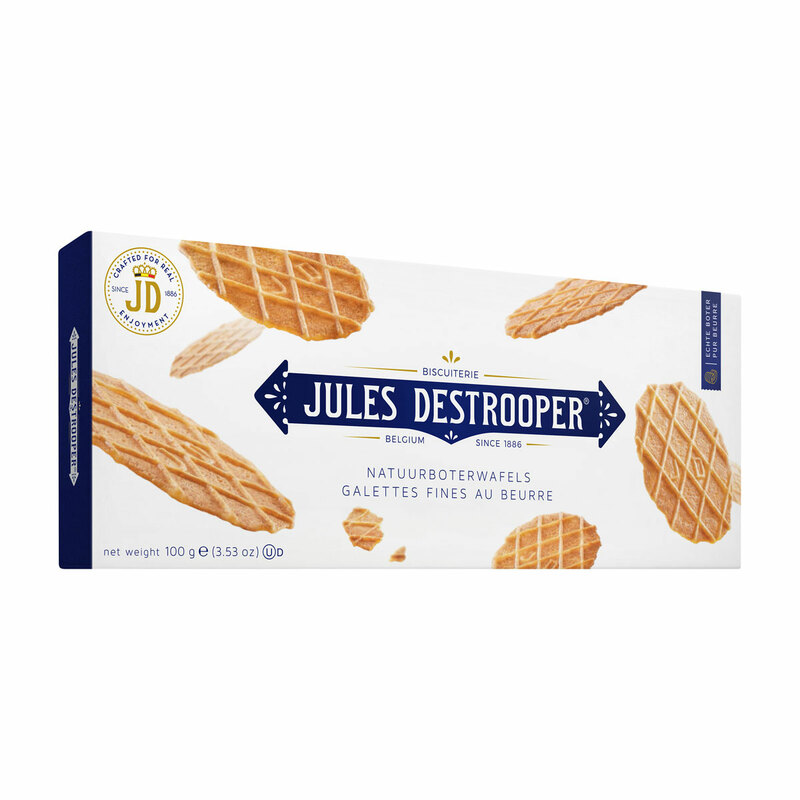 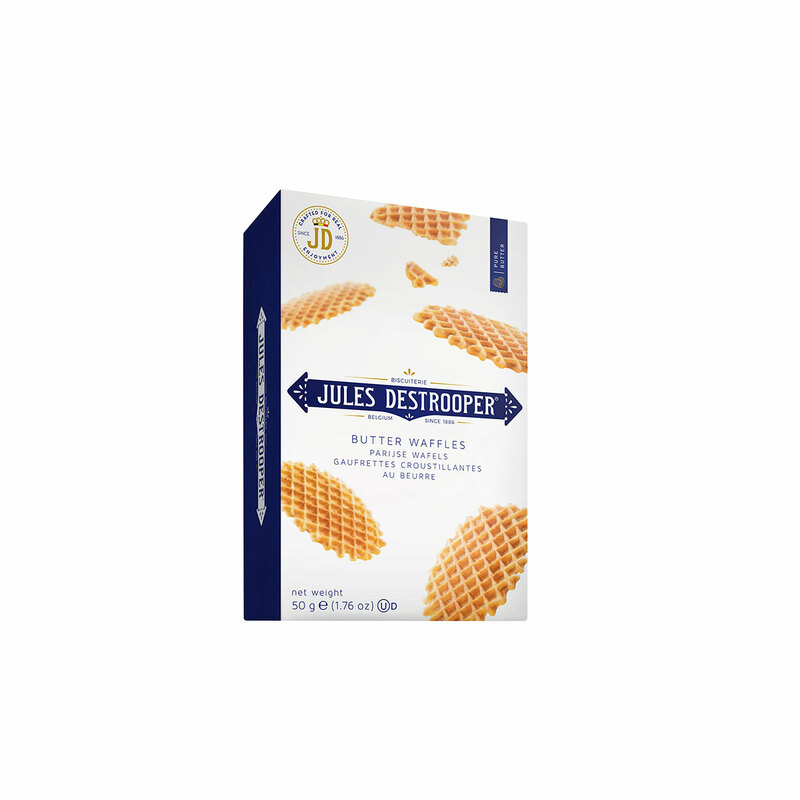 A luxurious gift bag filled with European gourmet biscuits from Jules Destrooper. 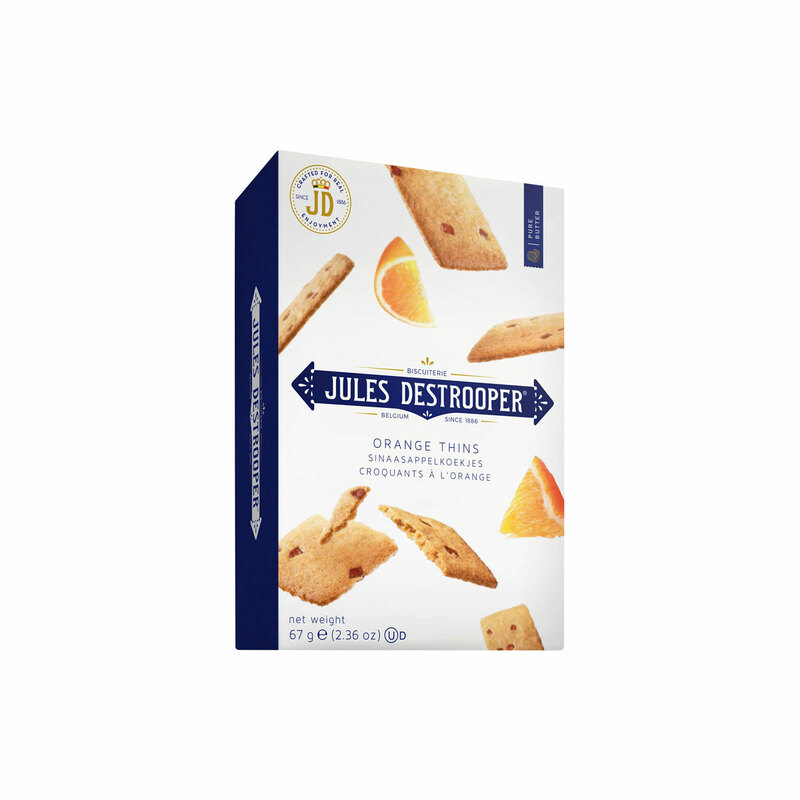 From the classic Almond Thins to the Old World favorite Almond Florentines, you will enjoy every bite of buttery goodness, fresh taste, and simple perfection. 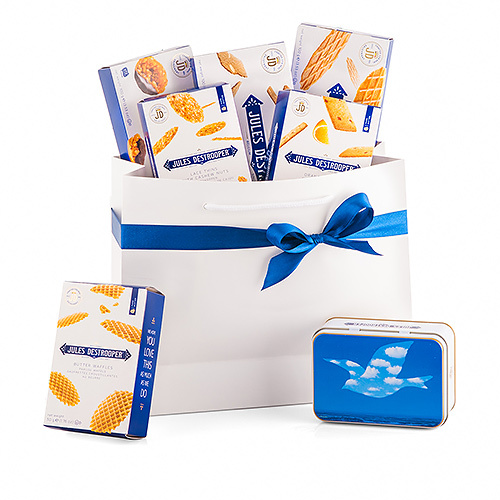 Almond Thins, Butter Crisps, Orange Thins, Lace Biscuits with Cashews, and Butter Waffles are hand-packed in a beautiful gift bag. The gift set also contains a playful tin mini-gift box with Butter Crisps. 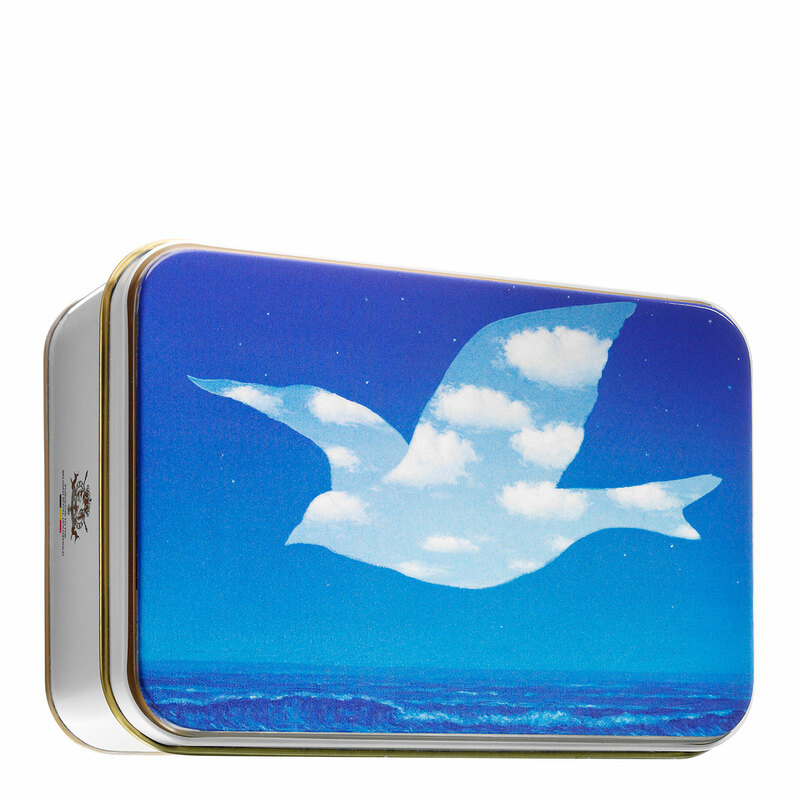 This gift box is decorated with a famous Surrealistic image by the Belgian artist René Magritte. 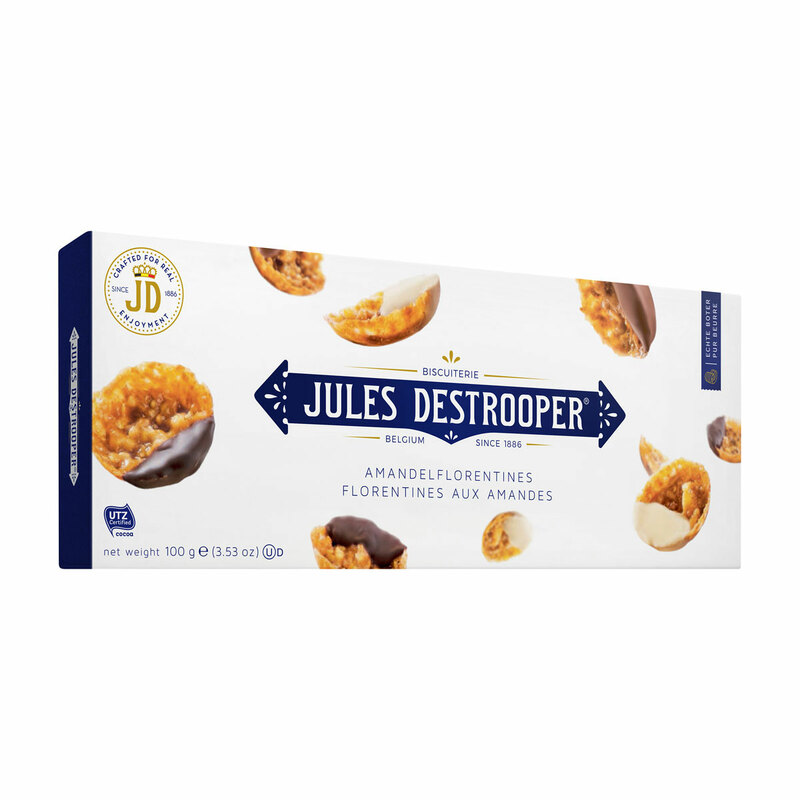 A delicious gift that you will be happy to give for any occasion.